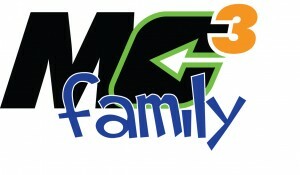 mc3Family is a ground-breaking concept using a truth you already know: You are the parent. You are raising your family. You are responsible for them and you love them! Spending time as a family has gone from a way of life to a rare treat in our busy world, and we want to change that. We as a church want to equip YOU to be your child’s best teacher. We believe your family is uniquely suited to introduce your child to Christ and help him or her grow in their journey. We are going to do everything we can to make that experience fun, interactive, bonding and HABIT-FORMING! We have some great things dreamed up and can’t wait for you to share them with us! mc3 meets in a transformed garage and we are having a lot of fun with that. Your child will have class-time in a Bay. Their Sunday experience is called Ignition. The weekly family app is called mc3PitStop. They will learn about God and growing in their faith in a way that is relevant to them and fun to remember. Being in a garage is more than just a crazy theme – it is a great reminder that growing closer to God doesn’t take anything fancy – it just takes us. mc3Family incorporates our core value of c3 (caring) with opportunities like our annual mc3Missions Christmas Project that enable your family to make a difference together. Ignition happens while you are in the Worship Experienc²e. There is nursery care for the little ones, and preschool through fifth grade are in small groups with their peers. Ignition includes singing, crafts and an engaging, entertaining point that is the same thing you are learning in the Worship Experienc²e. You can talk about it in the way home! What did you like best? What will you remember? It is a shared experience. These groups are mentored by screened, dedicated workers while we worship in the main garage. Here is the audio of The Point from our I [heart] My Church series that shares our vision for families at mc3.